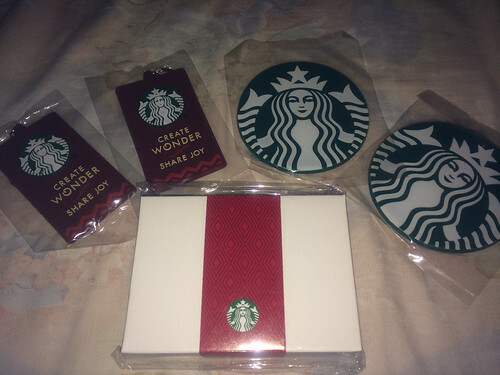 The Food Alphabet and More: Win Santa's Starbucks bag from The Food Alphabet! As they say, the Philippines indeed has the longest Christmas celebration, and indeed it is true. For The Food Alphabet, the new year is just a beginning for the countdown to another Christmas season, and as 2013 has been so good to us, we are sharing the blessings as early as now, in the first few days of the year 2014. Join this giveaway! 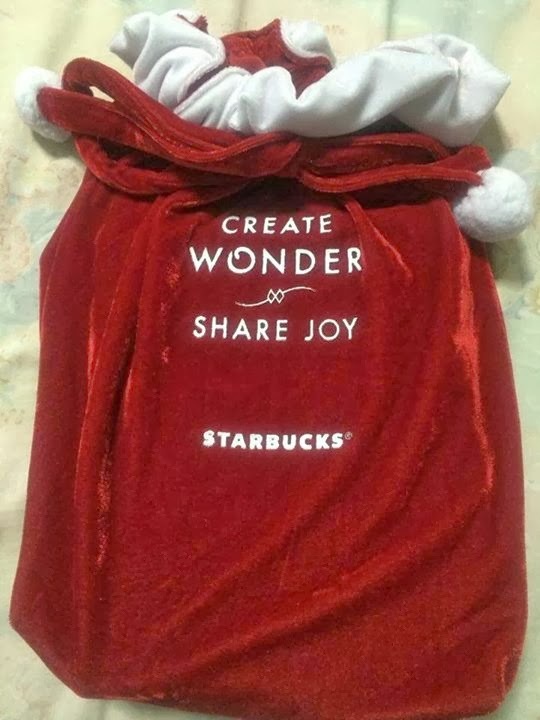 So what do we have inside Santa's Starbucks bag? 1. 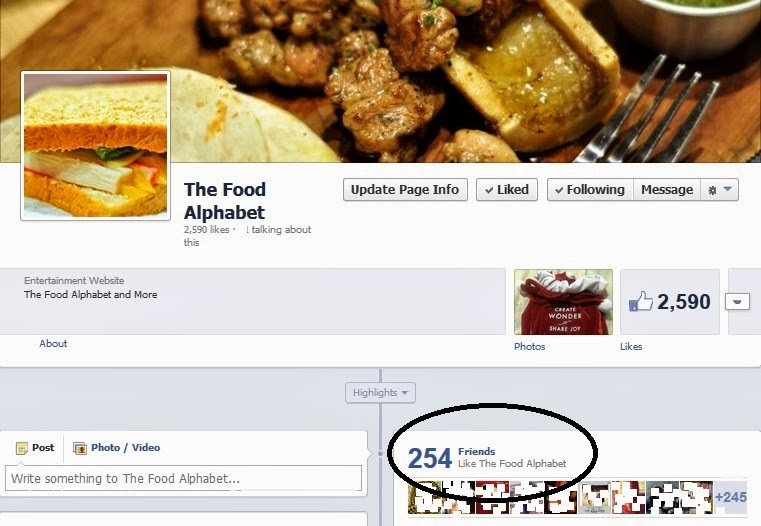 You must like The Food Alphabet on Facebook. 2. You must have at least 30 friends who also like The Food Alphabet to be qualified to join, how to know this? Visit The Food Alphabet on Facebook and see on the mid portion, to see how many friends also like The Food Alphabet. If you don't have enough friends, you can invite them to like The Food Alphabet for you to be eligible to join. 4. Send your screenshot to foodalphabet@gmail.com together with your complete name and contact details, including your email address and contact no. 5. Share this giveaway and upload your screencap on your Facebook wall post and invite as many friends as you can. Inviting of friends is optional, as long as you have met the requirements. 6. Comment below with your name, your FB share link that has your screencap. Please be reminded that you have to have at least 30 friends who also like The Food Alphabet Facebook page for you to be eligible to win. You have to email me your screencap for you to be eligible as well. You can share this giveaway to your friends already but you must complete at least 30 friends before you can send an entry. So to finalize, you must have at least 30 friends who also like The Food Alphabet, Share this post with your screencap, comment below with the link to your FB share and send me an email with your screencap for you to be eligible to win, I hope this is clear for you guys. You can join as much as you can. Every entry should have a different screencap and should contain a different no. of friends that like The Food Alphbet. 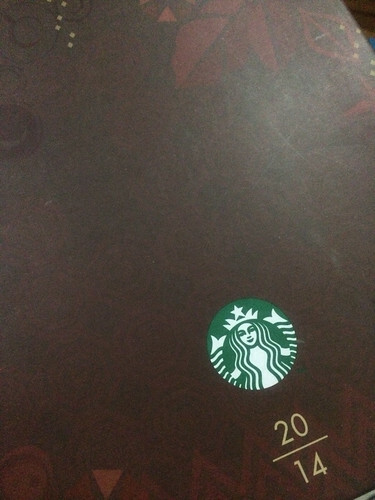 Giveaway will be from January 7 - 19, 2014 only. Lastly, Happy New Year to all and hope you have a wonderful year ahead of you. sorry to ask qs :-) Do I share this after I have completely invited at least 30 friends or should I share upon joining the contest? Thanks again! Hi Jackie! Thank you for the questions, already included the giveaway dates on the post. For the second question, you can already start sharing, but you can only start sending an entry when you have completed at least 30 friends. You can send as much as entries you can provided that there are a different number of friends on the entry. Like say, this entry has screencap 30 friends, the other entry should have screencap of 35 friends and so on and so forth.